Not a fan of that 5-inch, IPS display on the Optimus Vu? Perhaps, you'd be more interested in a smaller, lesser-specced member of the family. According to PocketNow, the Optimus Elite is sprinting its way toward The Now Network and Virgin Mobile, with an expected launch on the former "rather soon" and the latter as early as May. The Elite is allegedly packing some run-of-the-mill features, including a 3.5-inch, HVGA screen alongside a five-megapixel rear shooter and an 800Mhz CPU. Both flavors look identical, save for Virgin's prepaid flavor going with a darker look, which you can gander at by jumping past the break. 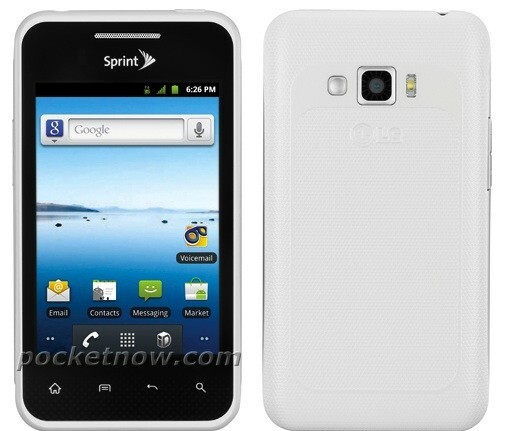 LG Optimus Elite gets photographed, decked out in Sprint and Virgin livery originally appeared on Engadget on Fri, 30 Mar 2012 13:09:00 EDT. Please see our terms for use of feeds.